However you choose to define the concept of luxury, it will always require a uniqueness and style that is far above and beyond the norms of everyday life. Rich & Lingering is a multi-award winning specialist food and wine tour operator with a passion for gratifying the senses. 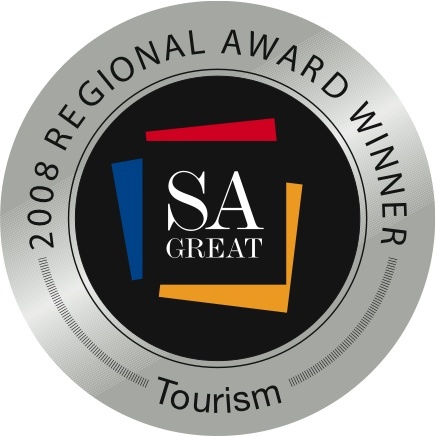 We have been judged the best Tour Operator in South Australia at the 2008 Tourism Awards, and inducted into the Telstra Hall of Fame in 2010. We are based in Adelaide (South Australia) and our extensive local knowledge of food producers and wineries, ensures that you can enjoy private gourmet indulgences to remember. We customise every tasting tour to ensure that you encounter the five star quality experiences that you enjoy, in South Australia. Rich & Lingering offer indulgent private food and wine tours for those who want genuine customer service from knowledgeable and friendly professionals. We focus on wineries and food producers in Barossa Valley, Adelaide Hills, McLaren Vale and Clare Valley premium wine regions of South Australia. With pickups from your accommodation in Adelaide or in the various regions closest to Adelaide. We aim to provide tasting experiences that seek out the interesting, the challenging, and the down right enjoyable. We are inspired by the pleasure of wine, food and conviviality, and hope that you will join us on this journey. Each custom designed private wine tour will have sole use of our luxury vehicle, which can accommodate up to 4 guests. Whet your appetite with some of the South Australian tour packages we have designed for other guests, or contact Rich & Lingering to discuss how we can provide you with a private tour to gratify the senses. Find out how we can help you make the most of your stay in South Australia. For personal assistance or a quote on a private tour email or telephone (+61) 1300 707 000, or ask your travel agent.